These apartments are available in 1-, 2-, and 3-bedroom units ranging from 684 – 1,334 square feet and are right in the middle of cultural attractions and great views of the mountains. Within an easy half-mile distance from your apartment, you’ll find: several restaurants, including the awesome Mr. Chao’s Asia Bistro, 5 coffee shops, a Trader Joe’s and a Safeway, tons of shopping, 4 schools, a library, and several banks. Just a little farther and you’ll find a movie theater and several parks. Ranging from 420 square-foot studio apartments to 910 square foot two-bedroom apartments, Bella Solano is centrally located between the I-10, I-17, and the 51 freeway. With 8 restaurants and a Starbucks within half a mile, as well as a Costco, Target and Walmart, these apartments are a pedestrian’s dream. There are also 8 schools within 1 mile, and 5 parks within 2 miles. Several movie theaters and a library are also within an easy half-mile walk. With your choice of a studio, 1-, or 2-bedroom apartment ranging from 491 – 962 square feet, these apartments are close to both work and play — I-17, Highway 101, and Highway 51 are all minutes away. Within a few miles, you’ll find several parks, the Turf Paradise Marketplace, and two airports — the Phoenix-Deer Valley Municipal Airport and the Scottsdale Municipal Airport. There are also about 8 parks in the surrounding area, as well as 3 mountain reserves and the Cave Buttes Recreation Area. Offering studio, 1-, and 2-bedroom apartments from 360 – 760 square feet, Southwest Village is the best of both worlds – close to the shopping, schools, and eateries you want, as well as a little bit off the beaten path. 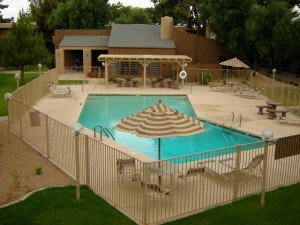 Close to I-10 and I-17, these apartments are within a mile of several restaurants, and just more than a couple miles from Starbucks. Also within 2 miles, you’ll find several grocery stores, including a Fry’s and a Farmer’s Market, a Walgreens, and 8 schools. There are 8 parks just a short drive or long walk away, as well as 6 libraries. Just because you’re looking for an easy-to-afford apartment, don’t think you need to sacrifice quality and convenience for price. Plus if your apartment is within easy distance to groceries, shopping, libraries, and restaurants, you don’t have to spend all the money you’ve saved getting where you need to go! 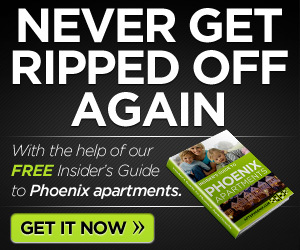 Good luck finding an apartment in Phoenix for rent! How about you? 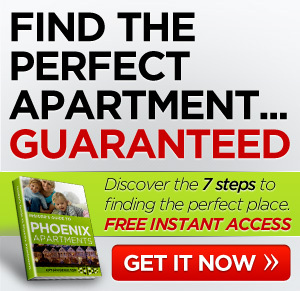 Any luck finding an apartment in Phoenix? Comment below.